A triple brush. Improved design. A smart skinny fence 1.2m in length. Now with cladding all the way round inc the back of the fence as shown above for all round better appearance and increased strength. 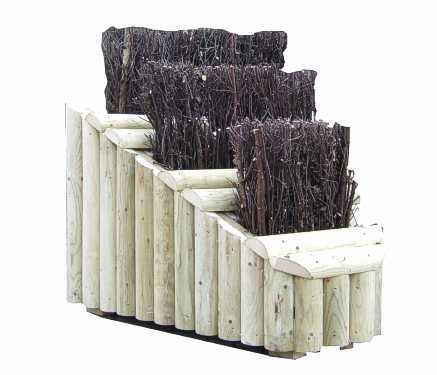 The Triple brush design is very popular in competitions and we offer a variety of to choose from. 15cm to 30cm as selected. The above image shows birch at 15cm, the image right shows it at 30cm. Flags are recommended to help guide your approach. A striking competition quality triple brush.